World Nuclear News, the information arm of the World Nuclear Association which seeks to boost the use of atomic energy, last week heralded a NASA Mars rover slated to land on Mars on Monday, the first Mars rover fueled with plutonium. In fact, in space as on Earth there are safe, clean alternatives to nuclear power. Indeed, right now a NASA space probe energized by solar energy is on its way to Jupiter, a mission which for years NASA claimed could not be accomplished without nuclear power providing onboard electricity. Solar propulsion of spacecraft has begun. And also, scientists, including those at NASA, have been working on using solar energy and other safe power sources for human colonies on Mars and the Moon. Its July 27 th dispatch notes that the Mars rover that NASA calls Curiosity and intends to land on August 6th, is "powered by a large radioisotope thermal generator instead of solar cells" as previous NASA Mars rovers had been. It is fueled with 10.6 pounds of plutonium. "Next year," said World Nuclear News, "China is to launch a rover for the Moon" that also will be "powered by a nuclear battery." And "most significant of all" in terms of nuclear power in space, continued World Nuclear News, "could be the Russian project for a "megawatt-class' nuclear-powered rocket." It cites Anatoly Koroteev, chief of Russia's Keldysh Research Centre, as saying the system being developed could provide "thrust"20 times that of current chemical rockets, enabling heavier craft with greater capabilities to travel further and faster than ever before." There would be a "launch in 2018." The problem--a huge one and not mentioned whatsoever by World Nuclear News-- involves accidents with space nuclear power systems releasing radioactivity impacting on people and other life on Earth. That has already happened. With more space nuclear operations, more atomic mishaps would be ahead. The EIS said the costs of decontamination of plutonium in areas would be $267 million for each square mile of farmland, $478 million for each square mile of forests and $1.5 billion for each square mile of "mixed-use urban areas." The Curiosity mission itself, because of $900 million in cost overruns, now has a price of $2.5 billion. NASA set the odds very low for a plutonium release for Curiosity. The EIS said "overall" on the mission, the likelihood of plutonium being released was 1-in-220. 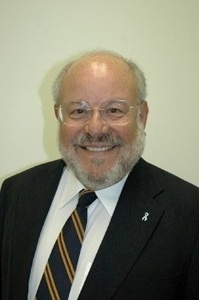 Bruce Gagnon, coordinator of the Global Network Against Weapons & Nuclear Power in Space ( www.space4peace.org ), for more than 20 years the leading opposition group to space nuclear missions, declared that "NASA sadly appears committed to maintaining its dangerous alliance with the nuclear industry. Both entities view space as a new market for the deadly plutonium fuel"Have we not learned anything from Chernobyl and Fukushima? We don't need to be launching nukes into space. It's not a gamble we can afford to take." Plutonium has long been described as the most lethal radioactive substance. And the plutonium isotope used in the space nuclear program, and on the Curiosity rover, is significantly more radioactive than the type of plutonium used as fuel in nuclear weapons or built up as a waste product in nuclear power plants. It is Plutonium-238 as distinct from Plutonium-239. Plutonium-238 has a far shorter half-life--87.8 years compared to Plutonium-239 with a half-life of 24,500 years. An isotope's half-life is the period in which half of its radioactivity is expended. Dr. Arjun Makhijani, a nuclear physicist and president of the Institute for Energy and Environmental Research, explains that Plutonium-238 "is about 270 times more radioactive than Plutonium-239 per unit of weight." Thus in radioactivity, the 10.6 pounds of Plutonium-238 being used on Curiosity is the equivalent of 2,862 pounds of Plutonium-239. The atomic bomb dropped on Nagasaki used 15 pounds of Plutonium-239. The pathway of greatest health concern for plutonium is breathing in a particle leading to lung cancer. A millionth of a gram of plutonium can be a fatal dose. The EIS for Curiosity speaks of particles that would be "transported to and remain in the trachea, bronchi, or deep lung regions." The particles "would continuously irradiate lung tissue." There hasn't been an accident on the Curiosity mission. But the EIS acknowledged that there have been mishaps previously--in this spaceborne game of nuclear Russian roulette. Of the 26 earlier U.S. space missions that have used plutonium listed in the EIS, three underwent accidents, it admitted. The worst occurred in 1964 and involved, it noted, the SNAP-9A plutonium system aboard a satellite that failed to achieve orbit and dropped to Earth, disintegrating as it fell. The 2.1 pounds of Plutonium-238 fuel onboard dispersed widely over the Earth. Dr. John Gofman, professor of medical physics at the University of California at Berkeley, long linked this accident to an increase in global lung cancer. With the SNAP-9A accident, NASA switched to solar energy on satellites. Now all satellites and the International Space Station are solar powered.